Being a well established Ingots Manufacturer, we are engaged in manufacturingAntimony Metal Ingotsthat is processed using quality components. 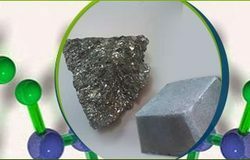 Manufactured in compliance with varied international quality standards, these Antimony Ingots are capable to cater the diversified demands of several industries as it hardens and strengthens lead and can be used inÂsolders, bearing alloys, semi-conductors, ballistics and pewter. Arsenic 0.060% Max. 0.01% Max. Lead 0.20% Max. 0.10% Max. Iron 0.02% Max. 0.01% Max. Being a well established Ingots Manufacturer, we are engaged in manufacturing Antimony Metal Ingots that is processed using quality components. Manufactured in compliance with varied international quality standards, these Antimony Ingots are capable to cater the diversified demands of several industries as it hardens and strengthens lead and can be used inÂ solders, bearing alloys, semi-conductors, ballistics and pewter. Packing : One Ton on Wooden Pallet with Stretch Wrap. Antimony (Sb) 99.65% Min. 99.85%Min. Arsenic (As) 0.060% Max. 0.01% Max. Lead (Pb) 0.20% Max. 0.10% Max. Iron (Fe) 0.02% Max. 0.01% Max. Copper (Cu) 0.02% Max. 0.01% Max. (Se) 0.0011% Max. 0.002% Max. (Bi) 0.0005% Max. 0.0001% Max. Looking for Antimony Metal Ingots ?